Looking for a system ski that is exceptional in control, power, and speed? 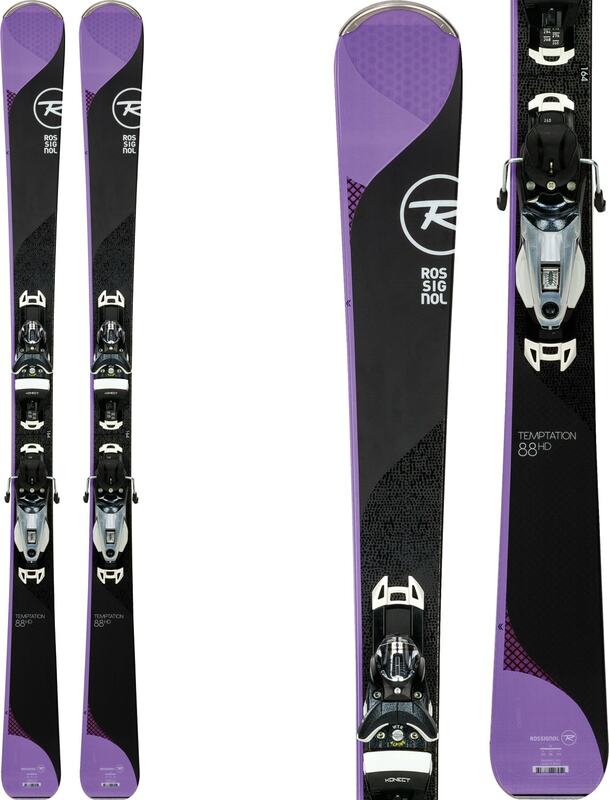 Then the Rossignol temptation, 88 HD skis with Konect NX 11 Dual WTR Bindings are the skis and bindings for you. At the extremely versatile waist width of 88mm, the Temptation 88 HD is chalk full of features to make your skiing that much more enjoyable. Enhancing the ride, rocker in the tip and tail of the ski allows for catch-free turn initiation while camber underfoot creates maximum edge contact and hold during a turn, making this ski extremely easy to handle. Rossignol also adds an air tip nose to lighten up the ski when pivoting and the carbon alloy matrix creates torsional rigidity while not interfering with the wood core. 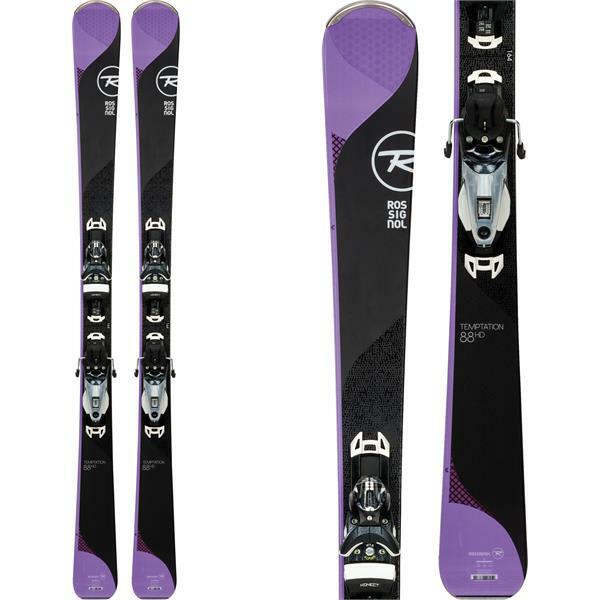 Get out and have fun skiing on the Rossignol Temptation 88 HD Skis w/ Konect NX 11 Dual WTR Bindings. are the plates for the Konnect bindings already mounted on the skis? Yes there are plates already mounted on the skis.